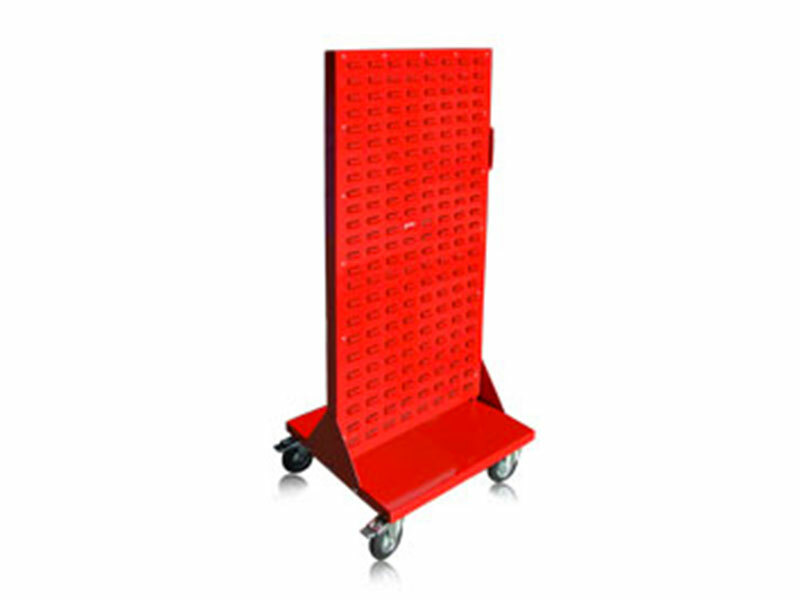 The Boscotek range of linefeed equipment provides mobile storage for small parts and components used in production and assembly environments. Units can be configured using a combination of louvre panels and trays to provide flexible storage solutions for a range of commercial and industrial applications. Modular design enables custom configuration of trays and louvre panels to suit individual storage requirements. Louvre panels are supplied as standard and can be used in conjunction with most industry standard plastic hanging bins. Supplied standard with heavy duty castors offering reliable mobility and a UDL capacity of 400kg (670w) and 600kg (1320w). Linefeed trolleys incorporate strong handle to assist movement of units around the work environments. Take components to the workstation or line where they are being used easily. Fully welded 3mm mild steel construction provides increased structural stability. Tray positioning slots are integrated into the frame at 25mm intervals to allow flexible configuration of trays.